The United States is located in an excellent location, faces the Pacific on the west, the Atlantic Ocean on the East. The coastline is up to 22,680 kilometers, marine fishing is 762 million square kilometers. National output of aquatic products is about 600 million tons, 98% of which is from marine fishing, the main economic aquatic products have hundreds of varieties, such as tuna, COD, bonito, grouper fish, sword fish, salmon, herring, large mouth bass, salmon, lobster, oysters, gulf scallop and so on. The United States is a country with high demand for sea food, aquatic products occupy a certain position in the consumption. The United States currently has 2660 aquatic products wholesale markets with 12,800 employees, 1913 aquatic products processing factories with 77,200 employees, 549 aquatic canning enterprises. So the fish feed industry of the United States is also not resigned to playing second fiddle. Ictalurus punctatus production is the pillar of this industry, mainly produced in mud pond, mostly concentrated in the southeastern United States, Louisiana, Arkansas, Mississippi and Alabama. Since the beginning of 1980s, catfish production increased steadily, but the high cost of feed and intense competition from imported frozen fish products in Asia led to a reduction of 22% in the last year. Rainbow trout aquaculture is throughout the country, but mostly from the northwestern state of Idaho. The Atlantic salmon produced in the coastal waters of the northeast, in the past ten years, the annual output was fluctuating around 15,000 tons. Ictiobus Cyprinellus Valenciennes is the large freshwater fish in North America. 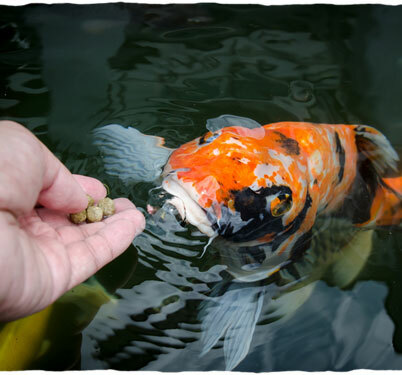 In many countries over the world, it was chosen as a substitute for common carp into ponds, reservoirs and rivers to culture. This species lives in 0-42oC of environment, mainly prey zooplankton and some zoobenthos. The Ictiobus Cyprinellus Valenciennes by artificial breeding can eat all kinds of commercial feed, bait coefficient was only 1.2( reached the edible specifications in that year). They are sexually mature 2-3 years later, the maximum one can up to 36.3kg, the yield can up to 7,700 kg/ha. Compared with other countries in the world, the United States still has relatively small amount of aquatic products, annual output value is about $50 billion, the leading fish in the United States include catfish, salmon, oysters and so on. The development of aquaculture is subject to economic development, especially the producers of cheap and low wages in developing countries, and the United States limited coastal fisheries resources, so about half of the American seafood is imported to meet domestic demand. American agricultural products giant, the world’s largest food traders Cargill Inc paid $1.5 billion acquisition of the world’s second big fish feed suppliers Norway EWOS company in 2015. Cargill Inc will further expand the product line and the size of the assets. In August 2011, Cargill Inc acquire the salmon feed producer Provimi with $1.6 billion, by means of the acquisition of Norway enterprises EWOS, Cargill plans to sell salmon feed and other products and related derivative products in emerging markets, thus pushing up global demand for salmon. At the same time, the Cargill also will invest $30 million in a joint venture with Naturisa, constructing of shrimp feed plant in Ecuador. Cargill CEO David MacLennan said in a statement that the acquisition of EWOS is a “strategic investment”, the company will continue to maintain a long-term commitment to growth, developing aquaculture. After the acquisition, Cargill will receive seven feed factories located in Norway, Chile, Canada, Scotland and Vietnam. After the completion of the acquisition, Cargill’s aquaculture assets will be extended to Mexico, Chinese. Although many farmers call feed prices continue to rise, the trend of low profit operation can not be stopped. In the past year, even a lot of small and medium-sized feed companies were forced to stop production. Investigate its reason, raw materials prices continue to increase, the increase in the cost of labor and other ancillary costs, serious product homogeneity, competition is constantly increasing, etc.. In this situation, remove the uncontrollable factors, some feed enterprises reduce costs in the process of production is also a good plan. KimKoch, the United States of North Dakota State University professor, perennial committed to feed processing technology and equipment research, supervision division of feed production management, design and implementation of livestock feed. He described in detail the United States feed companies reduce losses, save costs in the production process, there is no lack of reference. Raw material receiving is the first process of feed production, and it is also an important process to ensure the continuity of production and product quality. The material receiving capacity must meet the need of the production, use advanced technology and equipment, for timely receipting of raw materials, reducing the labor intensity of workers, saving energy, reducing production costs, protecting the environment. Artificial feed: Fish meal, wheat bran, soybean meal, crude protein, barley, corn flour, rice bran, vitamins, inorganic salt, antibiotic waste, adhesives, yeast powder and other additives. Here is a Tilapia Feed Formulation and Feeding Technique for reference. 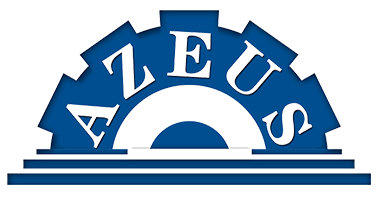 At present, there are two main types of mill in the United States: hammer mill and roller mill. The more common one is hammer mill, it can be divided into half screen type and full screen type. Most hammer mill is vertical rotation, there is also a part of the horizontal rotation, and their working principle is similar, but the horizontal rotation of the hammer mill needs more power. According to the number of roller, roller mill can be divided into single, double rolls, three rolls and four rolls. The combination of hammer mill and roller mill will be higher efficiency, but it is not the smaller the particle size is, the better. Because the grinding degree of different materials such as grain, seeds, beans and fiber, is different, different animals have different requirements on the size of the material. For example, the sow feed grinding particle size is on the requirements of 600~1000μm. Manufacturers should be based on the needs of different animal feed to crush the material, the principle is conducive to animal digestion and absorption. In the United States, feed factories mainly rely on mechanical mixing to achieve the purpose of mixing, therefore, Professor KimKoch mainly introduces the use of foreign mainstream mixed machinery. He said that the horizontal spiral ribbon mixer is the mainstream in the feed factories, is divided into single axis and biaxial. The horizontal mixer is widely used in the large feed manufacture cause its fast mixing speed and high mixing efficiency, uniformity and other advantages. The most prominent advantages of the horizontal biaxial slurry mixed leaf machine is the fast mixing speed. Due to short mixing time, the mixing power consumption per unit yield is low. In addition, the model of the mixing uniformity coefficient of variation is less than 5%, the maximum amount of liquid can be added up to 20%, full coefficient can be adjusted in the range of 0.4~0.8. In the granulation process, Professor KimKoch stressed the material moisture content and vapor saturation. He believes that the highest material moisture content is 20%, no less than 17% is appropriate. Saturated steam is the higher the better, but because of the limitation of objective conditions, it is the best if the saturation control is up to 80%. 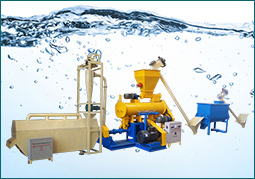 There are two type fish feed extruder for granulating, dry type fish feed extruder and wet type fish feed extruder. 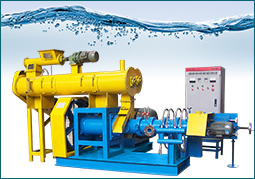 The biggest difference between them is dry type fish feed extruder does not need the steam boiler. 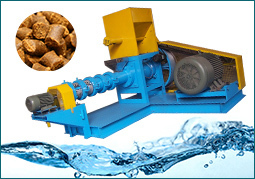 The feed pellet made by wet type fish feed pellet machine is more smooth and with better quality because the material is ripen and mixed enough in the conditioner. Pellet Durability Index PDI which is one of the most important indicators of the pellet feed quality, it can be used to measure the relative ability of feed pellets in the process of conveying and transporting. The greater of PDI, the ability of breaking resistance is the stronger, the pellet quality is the better, the feed utilization rate is the higher. In addition, in this part, Professor KimKoch highlighted the problem of moldy feed. In addition to control the moisture content of feed bin (such as the moisture content of corn grain classes should be controlled below 13%, moisture content of cake should be controlled below 8%), he suggested that it must control the relative humidity is no more than 70%, the temperature does not exceed 10℃. Once aflatoxin appears in feed, it must be immediately removed to prevent proliferation. Anyway, how to reduce the cost of feed includes 3 points, first is to complete the steps in feed production to achieve the ultimate goal, there is no waste; second is to ensure the production effectiveness, no additional loss; third is to ensure the effectiveness of production machinery, factory should have a variety of detailed production data.